To max their chances of unseating Trump in 2020, Democrats need to place serious effort, and even more cash, into ensuring Latino turnout is as strong as possible. Hoping to boost the impressive numbers of Latino voters in the 2018 midterms, Democratic candidates are following the template of the Clinton and Obama campaigns by constructing Spanish-language websites. The website of Minnesota Sen. Amy Klobuchar, posted shortly after her Feb. 20 announcement, addresses her mother using a masculine adjective. Sen. Kamala Harris at one point wrote that she had “wasted” her life defending American democracy. 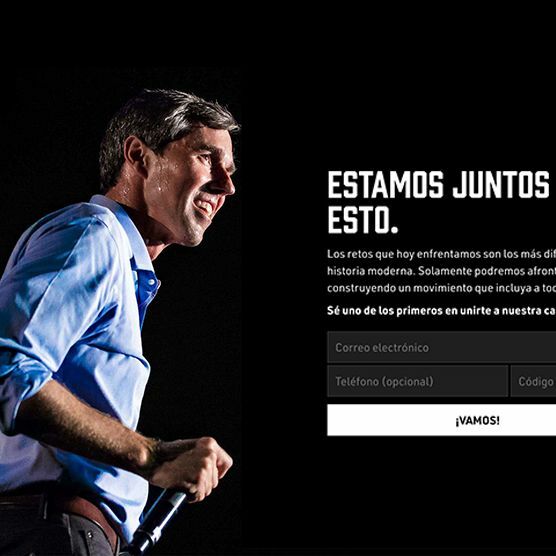 And Julián Castro’s website extolls the possibility of building an “América” that works for everyone, seemingly not realizing that he’s making promises about the entire American continent. Pete Buttigieg, Andrew Yang, and John Delaney all got F’s on the test, for not having a Spanish site, despite Buttigieg being proficient in the language. Beto O’Rourke — who’s from a county that is almost 83 percent Latino — and Bernie Sanders both received incompletes.